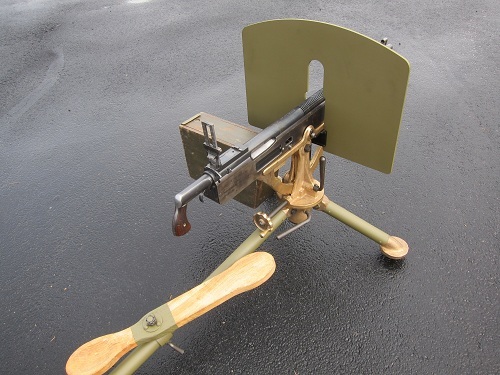 Do you own a Colt Model 1895 Gas Hammer Machinegun, a 1914 Colt Automatic Gun or a 1917 Marlin, all generically known as “Potato Digger” machineguns? 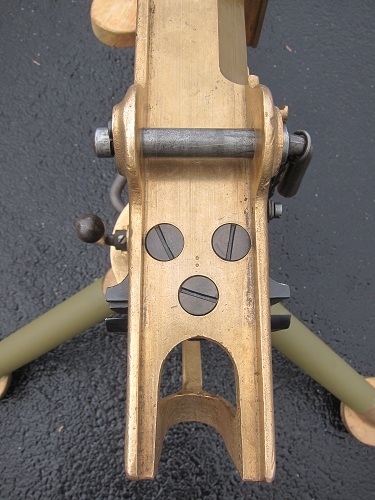 Does the cradle of your tripod have the three holes in front of the machine gun’s retaining pin as pictured in the photo? 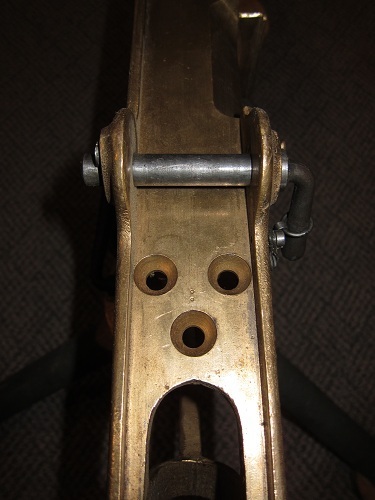 We wondered for years what those holes were for, until we purchased a 1917 Marlin that included an unusual steel shield and its mounting bracket assembly. 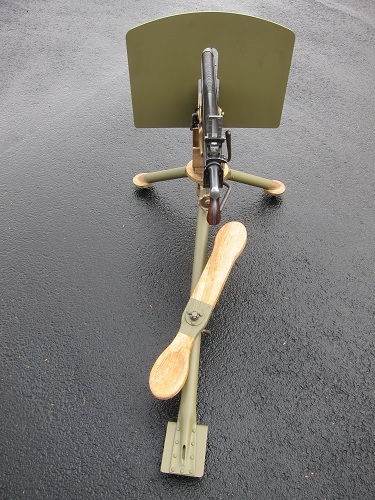 This armor shield system has not appeared in any photos or manuals we have seen. 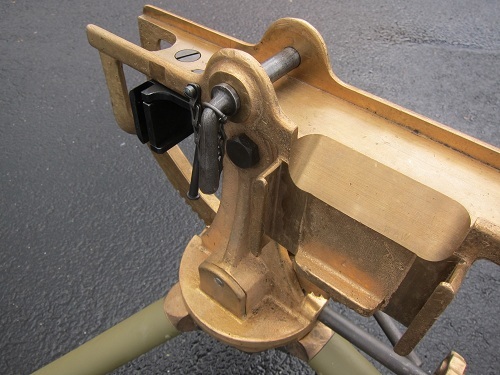 Yet all of the 1917 Marlin tripod systems we have inspected include the three mounting holes needed for the shield’s mounting bracket assembly. 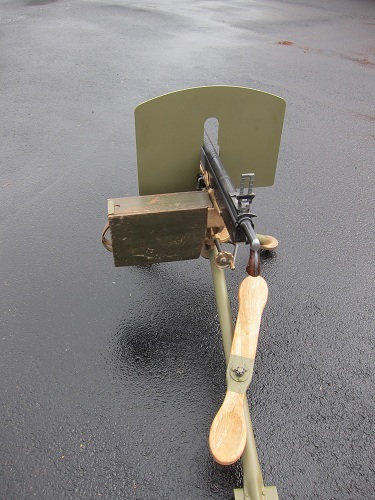 Recently a 1917 Marlin Digger was discovered, made for the Russian contract, with its original, though heavily rusted, mounting bracket assembly, identical to our example. 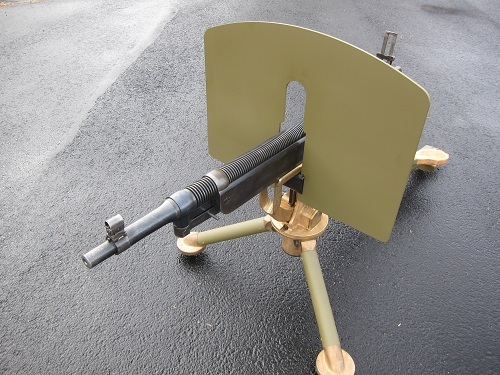 If you have information on the production of this shield system, please inform us. 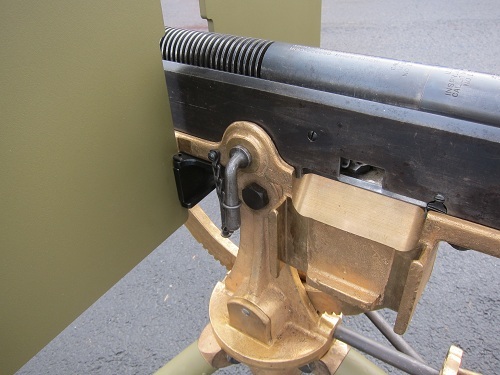 Our conclusion is that Marlin, and possible Colt, only included the shield system on export contracts, even though Marlin prepared US contract tripods to use the armor shield. 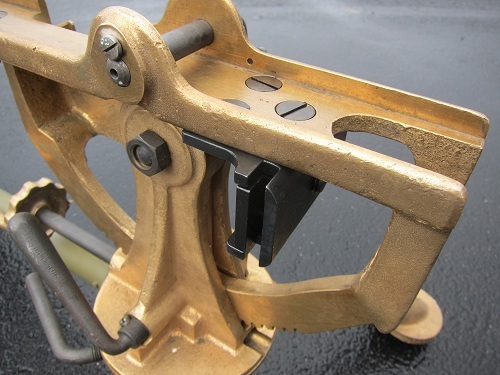 With the example in hand, which we learned is one of six made years ago from another original, we have very carefully remanufactured this rare and exciting Digger accessory. 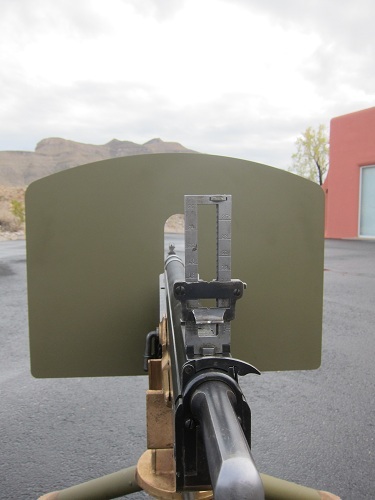 View the photographs of our Digger Armor Shield System. 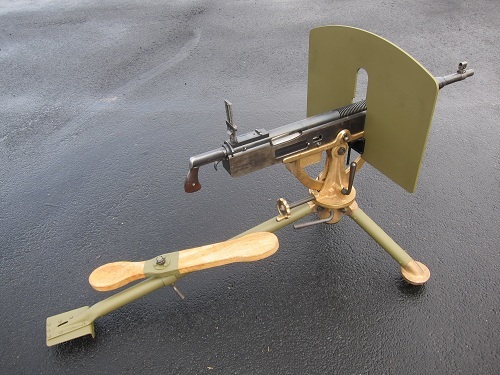 If you have such a gun, this accessory will give it a more complete appearance and make the Digger stand out in your collection. Plus, the shield is easily removed for transportation. 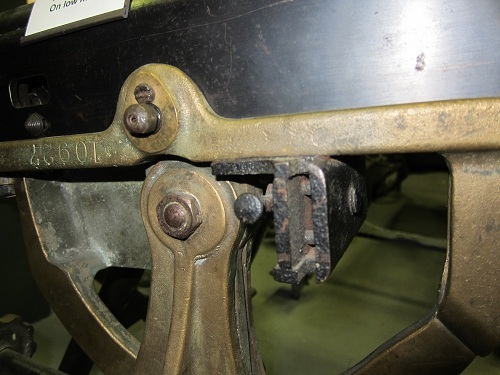 The Shield Bracket Assemblies are produced from black phosphate finished heavy steel. 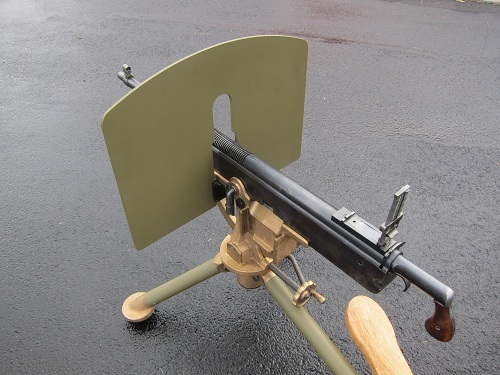 The shields are made from either ¼ inch hardened steel or armor steel, weigh almost 18 pounds, and are primed and painted RAPCO “lusterless Kaki Olive Drab”, a well-researched original US WWI equipment color. Aerosol spray cans of this color are readily available so you can prepare your tripod to match the shield – please read the Shield Assembly Instructions accompanying this ad. 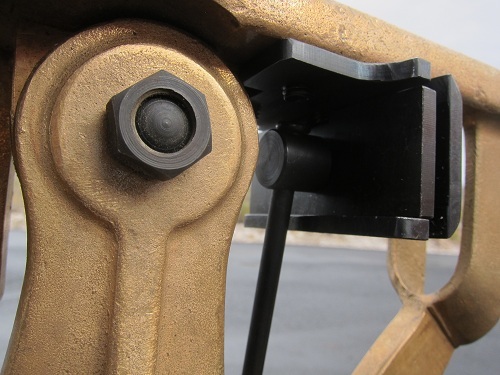 The Bracket Assembly and Shield are priced at $1500.00 with a hardened steel shield or $1,650.00 for a shield made from actual armor steel. 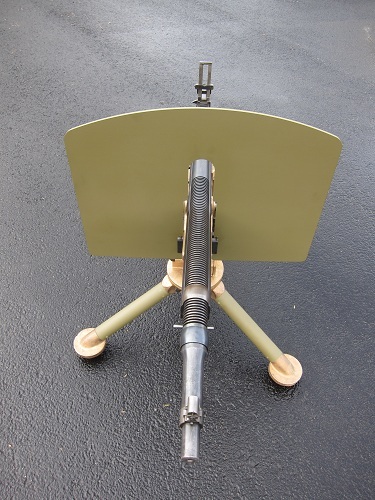 (Both shields have identical appearance). We will pay for shipping in the Continental United States. Visa or MasterCard are accepted as well. Personal checks are accepted but will be held until cleared. Please call or e-mail M6 Management Corp. to place an order.